Why put a park on a busy city road? 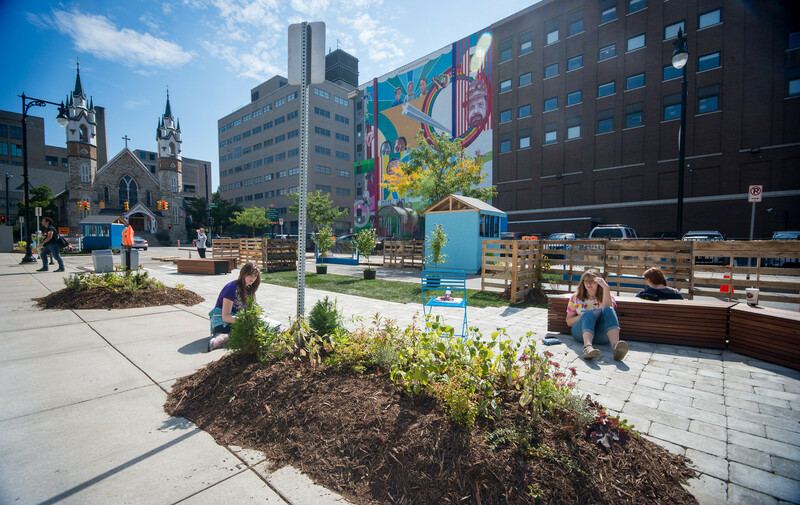 The Spark Park is exploring the intervention of the space between the college’s two buildings in order to connect with the community and to create a campus. 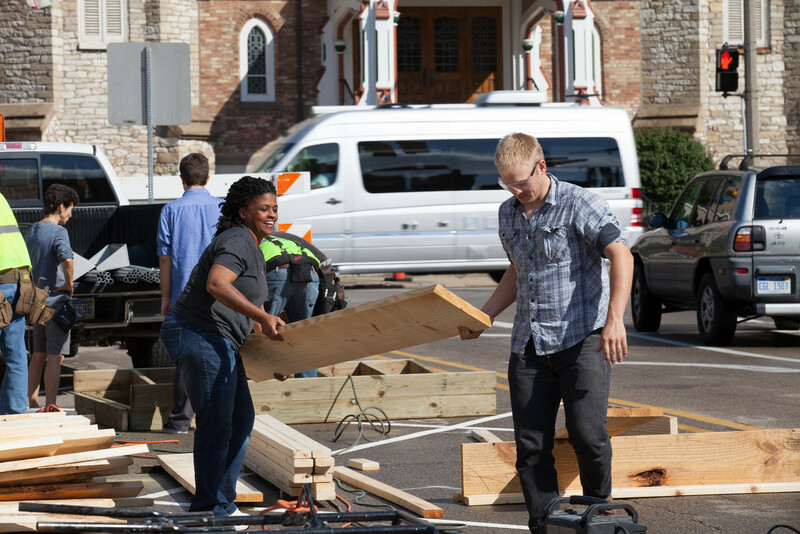 Students, faculty, and community members and businesses collaborate to bring the Spark Park to life. 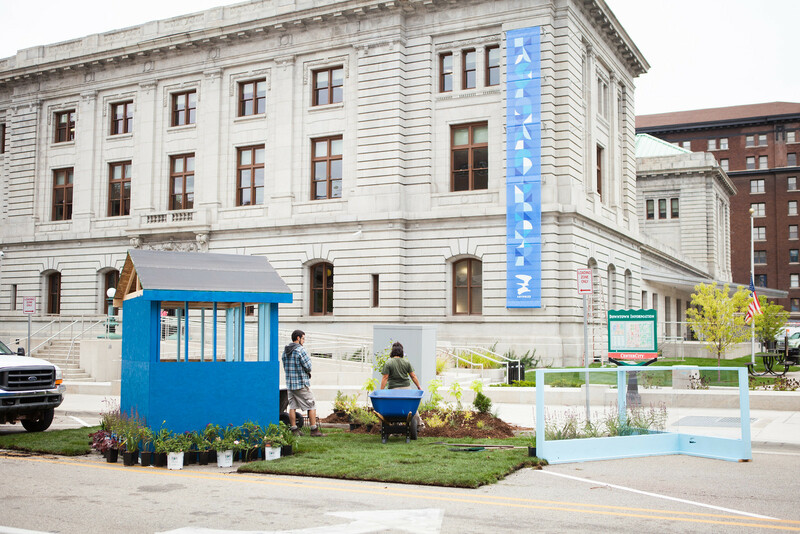 In 2017 it featured an accessible zen garden that Art Prize visitors could rake and design. 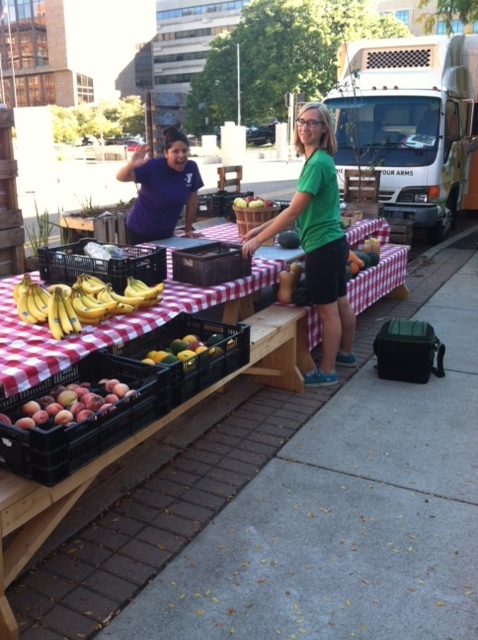 Thanks to our friends at Urban Roots, we lined the park with greens and vegetables that visitors could harvest. 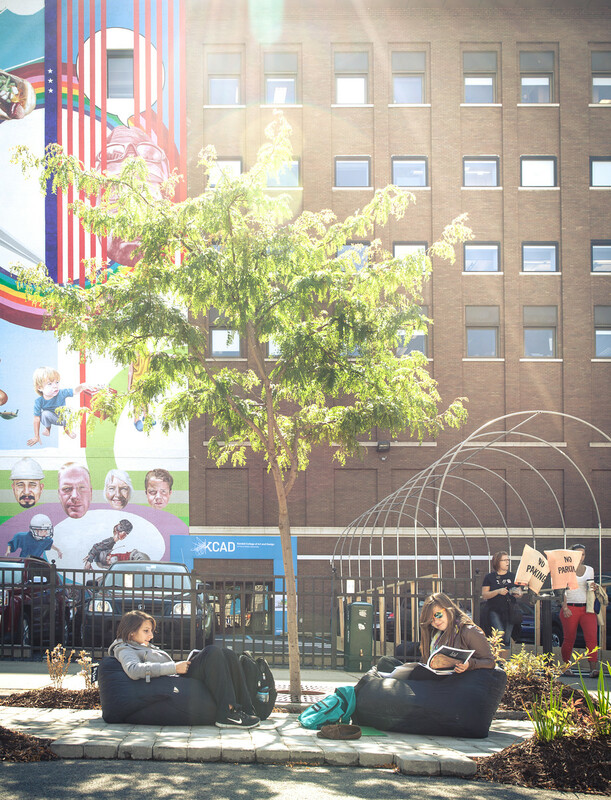 The Spark Park also aims to give KCAD students an outdoor space to enjoy including a shaded space, moveable tables and chairs, and a grassy area. To watch a video about the 2017 Spark Park, click here . 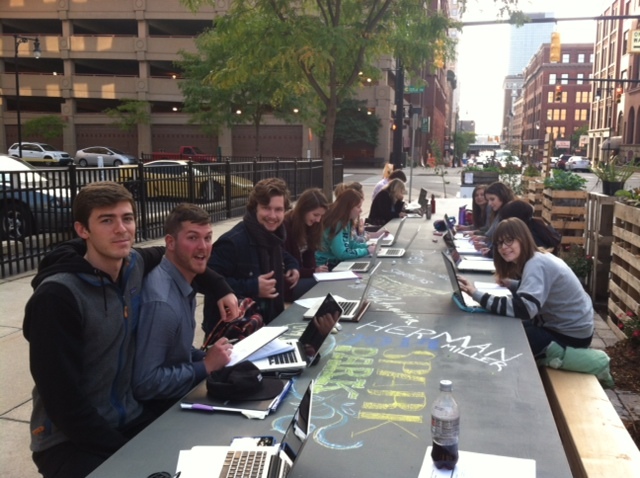 In 2014 it featured a 20 foot-long chalkboard table to facilitate collaboration and creativity in a public open air space, a free market where people could take or trade objects without money. Plants and furniture was provided by Landscape Forms. Bricks, and equipment by Construction. Nimlok donated archway signage visually bridging the entrances of the Woodbridge N. Ferris building with the adjacent main building.